The Little Mermaid, Ariel, needs your help in this game of math. 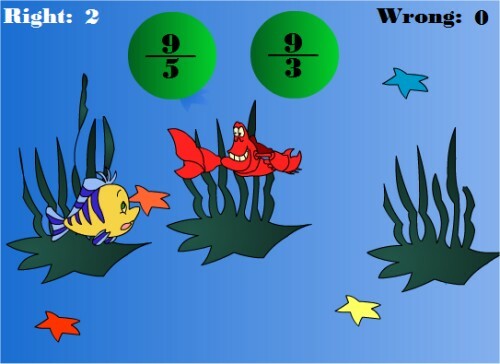 As she swims about the undersea with her friends, you are challenged with a series of puzzles, asking you to identify which of two fractions is the greater. Simply click on the number you think is bigger, and the game will tell you if you are right or wrong. 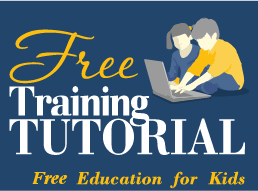 This is an interactive game aimed at kids in grades four and five, testing the ability to recognize which fraction is larger. Some of the fractions can be tricky – adding up to more than one, so keep an eye peeled for whether the top number is larger than the bottom. See what the highest score you can set is by getting as many correct answers as you can.